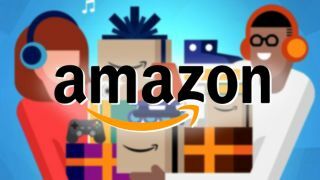 Emails sent to customers warns of breach caused by "technical error"
Amazon has admitted it has been hit by a data breach affecting shoppers just hours before Black Friday. Customers have reported being contacted by Amazon Customer Service, which said that names and addresses were "inadvertently disclosed" due to a "technical error". It's not known exactly how many customers have been affected by the breach, although users from multiple countries including the US and UK took to social media to report receiving the email. Amazon said that the issue has now been fixed, adding that, "this is not a result of anything you have done, and there is no need for you to change your password or take any other action." The company's UK press office has confirmed that the email was genuine, saying in a comment sent to media that, "We have fixed the issue and informed customers who may have been impacted." However it would not provide any further details, but the news comes a month after a similar email was sent out after an employee was caught selling customer data. Depending on the details of the breach, Amazon could be in breach of the EU GDPR legislation, meaning it may face a major fine.